sound — a blend of country, rock 'n' roll and folk — that he used to explore issues that many other popular musicians of his generation wouldn't touch. His songs tackled sin and redemption, good and evil, selfishness, loneliness, temptation, love, loss and death. And Johnny explored these themes with a stark realism that was very different from other popular music of that time." No, that's not a music historian. That's Dennis Toner, a member of the U.S. 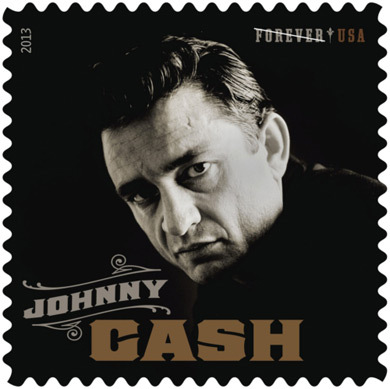 Postal Service Board of Governors talking about the man in the black stamp. Earlier this year, the Postal Service released a stamp for Mexican American singer singer Lydia Mendoza. Ray Charles is getting one later this year.